Assisted living is a subject that most families will address at some point. Even if your parents are set on aging at home, it might still be worth bringing up the topic just in case cost savings or amenities sway the decision. Altogether, the conversation about retirement planning and assisted living needs to be had, but it's certainly not one of the easiest. Moving into a community can be a sensitive topic, and understandably so: There are many personal factors at play. However, the more you and your parents know about assisted living, the better able you are to ensure a high quality of life for them in retirement. The best way to approach the assisted living question is gradually. That means: Don't try to force all the decision-making into one sit-down that ends with a "yes" or "no." Such a pressure-packed environment could lead to conflict if your parents feel cornered into a choice. The possibility of moving to a retirement community should be addressed over a series of conversations. Breaking the conversation down into smaller, more manageable talks helps. This way, you can introduce the concept as a thought, maybe talk a little bit more about what it looks like in reality and finally gauge your parents on what they want to do. It's crucial that your parents feel heard throughout the process. This is, after all, a decision that affects them primarily. Listening to their needs and wants is important to conducting a conversation that's done in good faith. 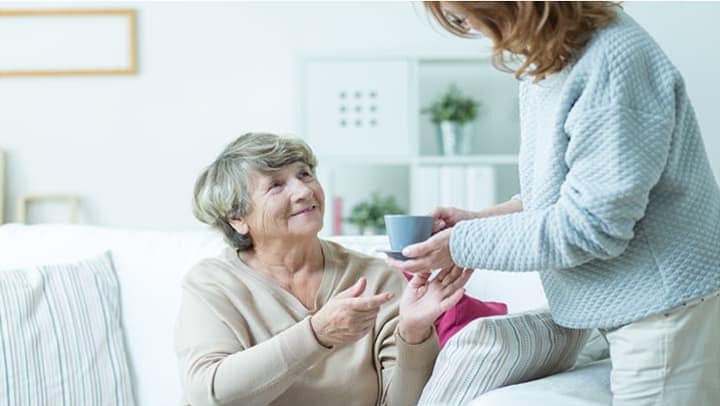 Each family will have its own expectations for what a move to assisted living will entail, and your parents' input is critical in such matters. Sometimes mom or dad might actually know best! The point is, not every need has to be met. The mere act of incorporating your parents' thoughts into the process demonstrates a cooperative effort. Hearing them out about location, price, amenities and other aspects helps reach the best decision for everyone involved. Understand that asking your parents about moving to assisted living could upset them. Leaving the family home they've known for years could be a scary premise. It's reasonable then that your parents might become defensive or hostile at first. This is in many cases a natural reaction, but it's important not to let it affect you. The assisted living conversation can be emotionally charged undoubtedly, but cool heads prevail. If you counter speculation with facts, instead of argument and an eye roll, you can help assuage any fears your parents might have. Going on a tour of a community can help bring some clarity to the decision-making. Showing your parents what day-to-day life would look like in actuality can help ease concerns or even get them excited for a potential move. It doesn't even have to be a community that you're targeting, just one that's similar. Just as you might have gone on tours of colleges with your parents, you should take them on visits to retirement communities: Having that real-world experience is crucial to making the best decision for their future. Moving into a senior living community represents a big life change, so you and your parents will want to be totally confident in the ultimate choice. How can such a decision be reached? Through research. Having conversations about price or amenities is made easier when you come prepared with the facts and the figures to back you up. You and your parents are essentially consumers, so doing the research on what options are available, how they compare and what they cost is particularly important. Gathering all this information is necessary to making the most informed decision. Overall, try to approach the conversation with empathy, details and tact. It won't be the easiest process to get through, but collaborating as a family to make a decision will help ensure your parents' needs are met.